Mille Petrozza of Kreator discussed Gods of Violence. 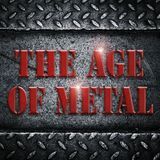 The Age Of Metal is the premier source of metal information, based in Tempe, AZ. We deliver the most updated news, music, album reviews,interviews, tours, and everything that happen in the local, national and international metal scene.